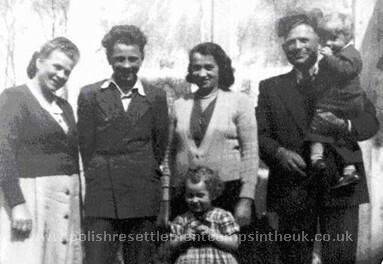 On February 10, 1940 my parents Franciszek and Janina Piotrowski along with my brothers Zbyszek aged 3 and 2 year old Czesio were deported to the depths of Russia. Sadly Czesio died a few months after they got there. 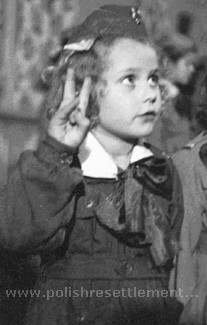 My Mom was pregnant with her third child and she gave birth in terrible conditions in Russia later that year to a third son, Miecio. 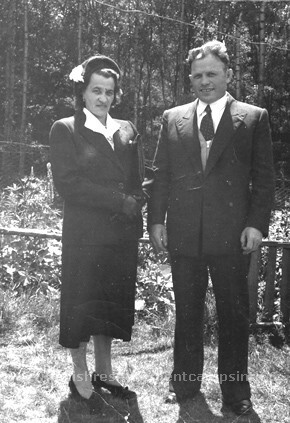 Much of my extended family was also deported such as my paternal grandmother, maternal great grandmother, aunts, uncles and cousins. Many of them perished there. When the so called "amnesty" was announced my father left to join the Polish Army of Gen. Anders - the Second Corps and after training in the Middle East, he fought on various fronts in Italy including the famous battle for Monte Cassino. 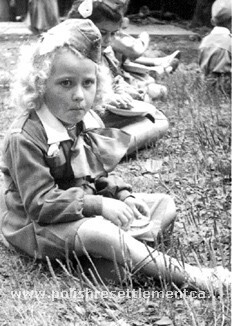 My mother with Zbyszek and baby Miecio, leave the labour camp joining thousands of other civilians in their flight for freedom. The gruelling journey south was too much for baby Miecio and sadly he succumbed and died on the way to freedom. After crossing the Caspian Sea, my mother with Zbyszek ended up in Persia (Iran) where they are clothed and fed by the British. The tented camps in Persia were only temporary, the civilians mostly mothers with children and the old and infirm, had to be found more suitable accommodation. So the British authorities moved the people to camps in their colonies in Africa and India. 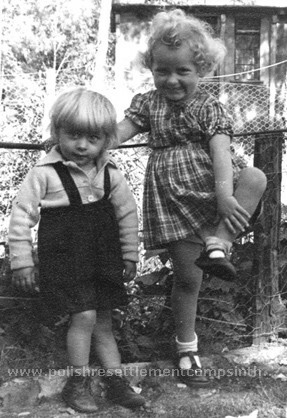 My mother and Zbyszek were sent to a Polish civilian camp in Lusaka, Northern Rhodesia now (Zambia), and lived there until 1948 when they boarded the Carnarvon Castle and sailed to Southampton, England. 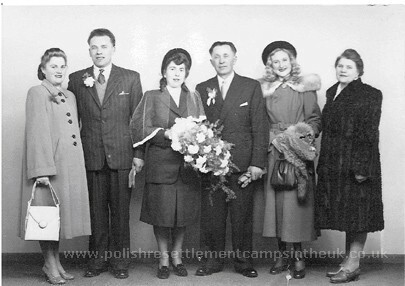 My father, after the war came to the UK from Italy as a soldier of the Polish Army which was subsequently reformed into the Polish Resettlement Corps (PRC) which was responsible for preparing the soldiers for demobilisation and civilian life in the U.K. After 6 years of separation my parents are reunited in a Polish Resettlement Camp called Penn Street where I (Krystyna) am born in 1949. 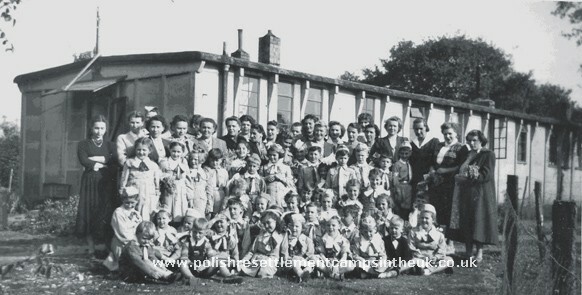 A year later we leave Penn Street camp which was closing down and move to the nearby Hodgemoor camp. 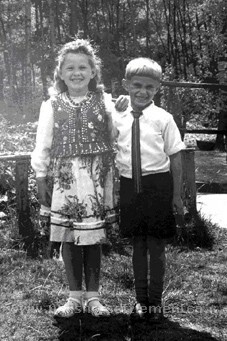 There in 1950 to my parents delight my brother Andrzej is born. 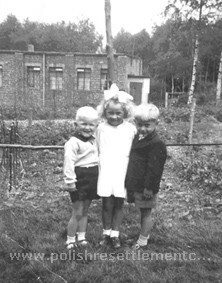 My parents started to rebuild their life in a foreign country and unable to speak the language. 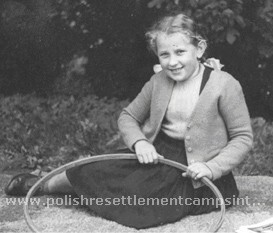 Life was very difficult and conditions in the camp were basic but they were free and life had to go on. 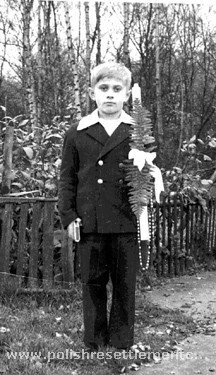 My older brother Zbyszek, now a teenager, having missed out on real schooling because of the war was sent to a Polish Boarding school in Diddington, were he learned English and caught up with his education. 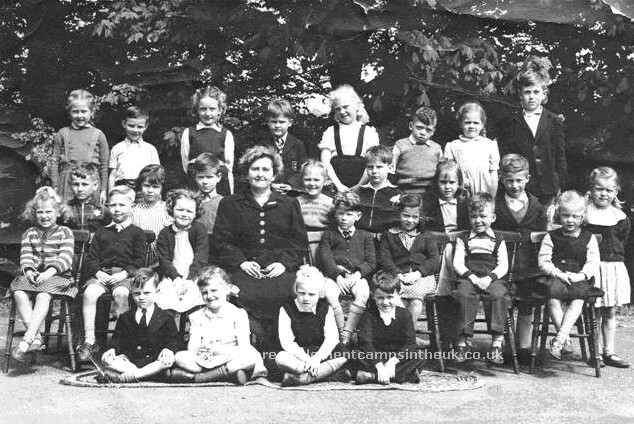 My younger brother and I, attended a primary school in Chalfont St Giles where all the children were taken daily in vans. 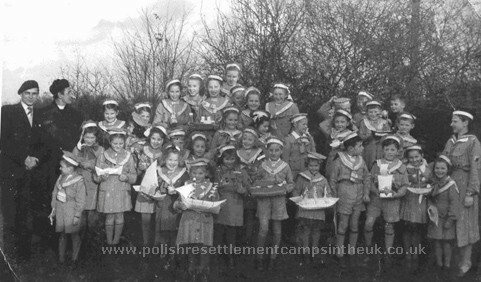 To maintain our native language and culture, all the children in the camp attended a Saturday Polish School were we where taught Polish history, culture and received religious instruction. 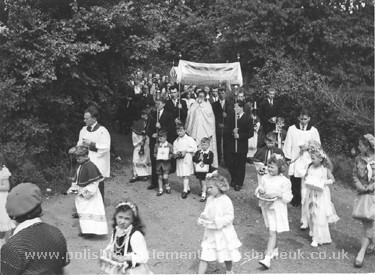 The camp's priest, Father Madeja, also prepared us for our first Holy Communion and I remember taking part in Corpus Christi processions. 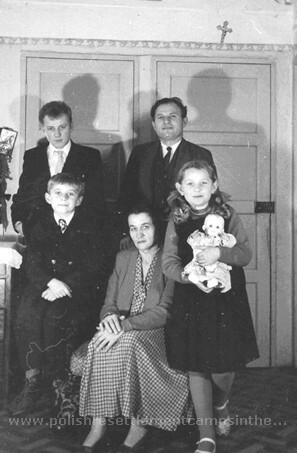 Andrzej Stachowiak, Head teacher Mr. Maciejewski, Henryk Wizgier, Bogumił Różyczka, ? Row 3:-Ania Pielecka Krysia Piotrowask, Teresa Serwatko, Irena Eibin, Bogusia Kłak. 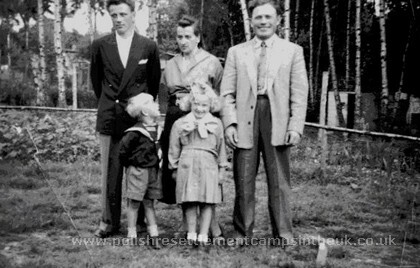 There was a thriving Polish scout, guide and Browne group in the camp, encouraged by our parents both my brother and I joined. We had many outings with the group and enjoyed the many activities that were organised by scout masters. 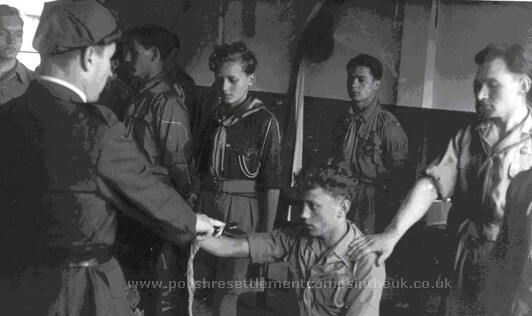 Zbyszek Piotrowski invested into Scouts Janusz Piotrowski (not related ) has his hand on Zbyszek's shoulder. 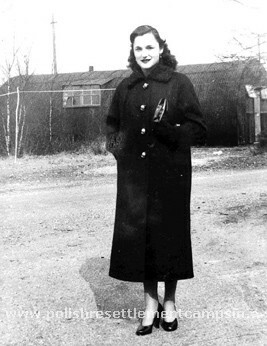 Krystyna on one of the outings. Zuchy showing off some of their handicrafts. 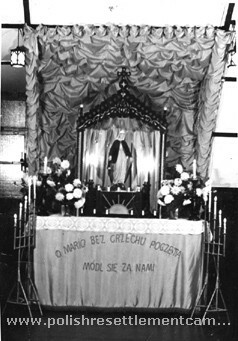 Photo taken in the area of the church and hall. 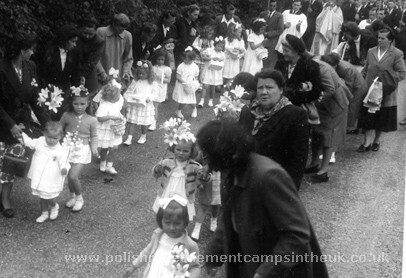 We were taught our Polish culture from an early age, and we took part in all national Polish days, singing and dancing in our national dress. 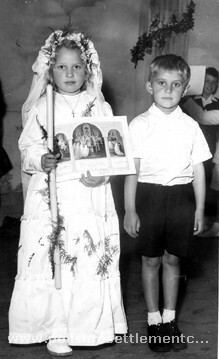 Most of our costumes were hand stitched and beautifully embroidered with beads and sequins by our mothers. 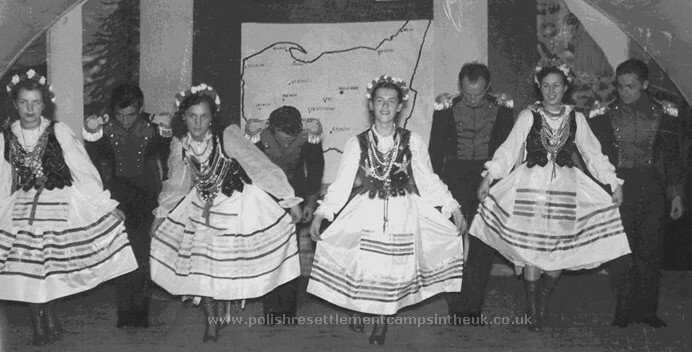 Zbyszek (second from left) with Irena Trzeciak in Polish Dance Group of Hodgemoor. 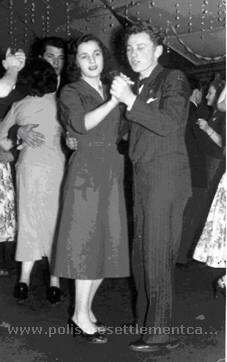 The camp had a large hall which was used for all sorts of entertainment, film shows and dances, the dances were particularly appreciated by young adults living in the camp, that is were they could meet and socialise. 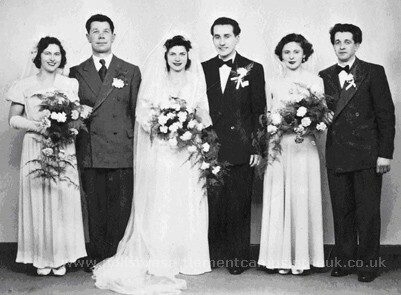 Life marched on, people married, had children and many moved on to new places and others emigrated to the USA and Canada. 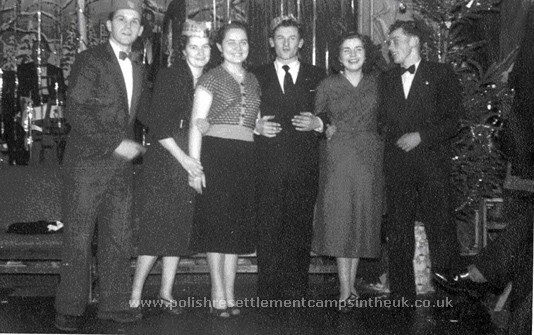 Left:- Jurek Busiakiewicz and Helena (nee Ochedowska) in the middle Kazik Plis on his right Janina Trzeciak and Zbigniew Piotrowski. 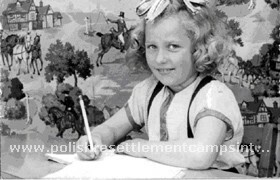 In 1958 we move to Canada. Andrzej and I have wonderful memories of Hodgemoor and when we go back to England we spend hours walking through Hodgemoor Woods looking for that gigantic tree that we loved to play on. 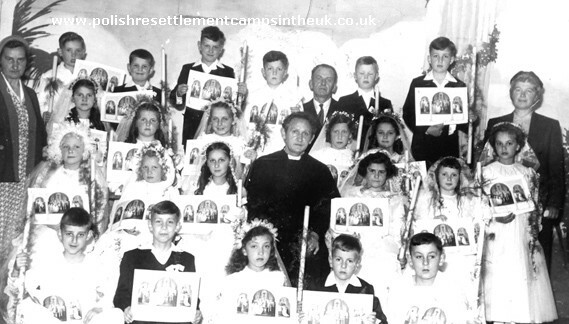 Thank you to Krystyna for the Photos and information.